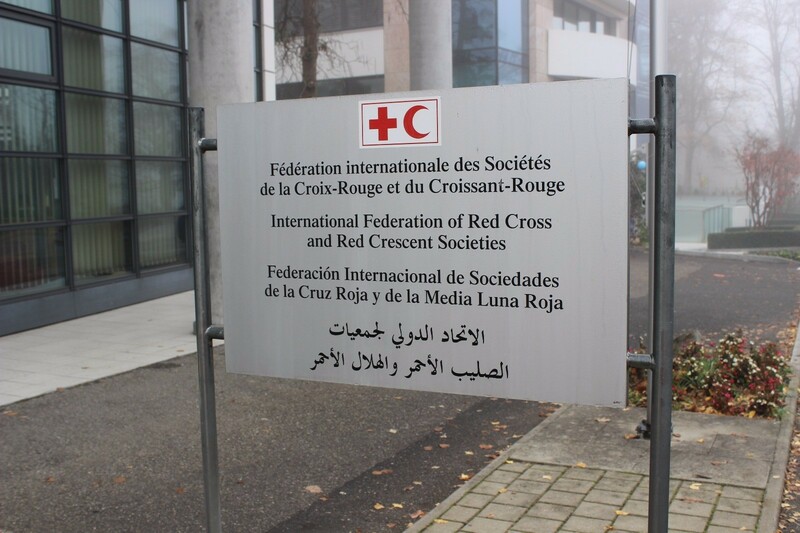 Our group of students got the chance to go and visit the International Red Cross and Red Crescent Societies (IFRC) headquarters in Geneva. The organization globally coordinates the catastrophy help during any natural disaster. During our visit we were told about the history of the organization and its standards and different job descriptions. By asking questions and being active in the conversation we learned a lot more about the organization as we tried to understand what it takes to work in an international environment. We learned about how The Red Cross and Red Crescent help the people in need nationally and internationally. Every country has its own needs and the right need is provided with the help of the volunteers. The volunteers are the most important way to help. One can easily be part of the Red Cross society just by volunteering and to get hired you need to have master degree from whatever field of study, it doesn’t need to be a doctor or international affairs, you learn by doing and the most important thing you need to have is to love your job and have passion and be ready to help people from different backgrounds and living conditions. During our stay we met multiple emplyees and interns from different departments. After each interview we started to get a wider perspective of what international working requires. Every interview and interviewee was very different and they had very different backgrounds. We noticed that many employee and leader in the organization has started a volunteer and has made a career afterwards in IFRC. We were happy to see that the skills needed can be already practiced partly in upper secondaries. We were told many times how rare upper secondary student visits are, especially from Finland so we were honoured to be able to visit and learn from them, as well as it was an honour to present Finland’s upper secondary schools. Our school was found to be interesting as it is an UNESCO school. For us it certainly was easy to be proud of being a student of Jyväskylän Lyseo. People in the organization were very friendly and kind to us, which made us feel very welcomed. We left the organization cheerful, with warm hearts and more aware of the organization and its work. We could see ourselves working in the international organization like IFRC in the future. Even thought that we had to leave the IFRC eventually, we knew that our day wasn’t finished, because we were left with lots of food for thought. It was delightful to realize that we can use what we learned in the daily basis, and that’s probably one of the most important things to be learned.